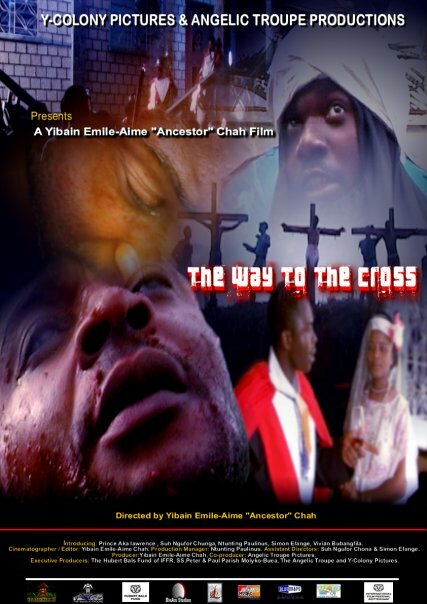 Playful yet also pious film about the life and passion of Christ, made in close cooperation with a church music group from Cameroon. Christ has been nailed to the cross in a film before, but never with so much soul. Like other film makers from his generation, Ancestor, the gang name for Emile-Aime Chah Yibain, taught himself to film by making hip-hop music videos. The fluency and liveliness of that genre is easy to see in this film. And that is striking, because films about the life and passion of Christ generally speak a more classical language, even if only out of respect for the subject. But the respect is not missing here. Ancestor is a pious film maker and he made the film in close cooperation with a church music group (Angelic Troupe Molyko), which provided him with a large number of extras. They are amateurs who act with dedication – ecstasy even. The Way to the Cross is clearly a historic film. Ancestor himself calls the style neoclassic, but he is very free and playful with the genre. For instance, the Roman soldiers are dressed in 19th-century operetta uniforms and it is not difficult to see traces from our own era in the background (such as passing cars). Ancestor was not interested in a realistic passion, but the passion of performing this event that is so crucial for the faithful. Ancestor’s first plan was to propagate the gospel in an accessible way through this film. Screening the film at an international festival was not his aim.